ImagineNano 2018 will take place in Bilbao (Spain) at BEC (Bilbao Exhibition Centre) - meeting place where technology and innovation work hand in hand in the generation of new business opportunities. 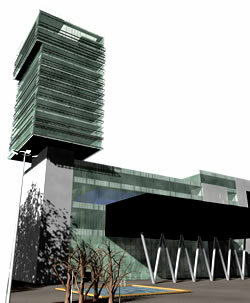 BEC is located around Gran Bilbao area, Bizkaia capital, north of Spain. Strategically located a 13km from the International Airport of Loiu and 10 minutes from Bilbao Centre, is reached by metro and a fantastic network of highways and roads.